When the Canadian Pacific Railway was built across our young country, the Rocky Mountains were the first large barrier to be crossed on the way to the west coast. The difficulties posed by the Great Divide (10 minutes from Lake Louise), the tall peaks and narrow passes of the Columbia Mountains, as well as the Fraser Canyon, taxed the creative genius of railway engineers — who produced some amazing solutions. 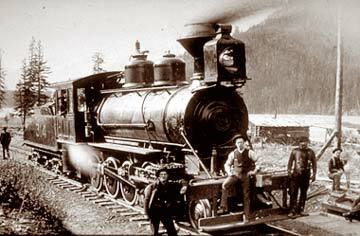 There is a rich railway legacy in the immediate vicinity of Lake Louise. To appreciate it fully, you’ll need to bone up on the history end of things. Two suggestions: first, get one of the many books on the subject (like Graeme Pole’s The Spiral Tunnels and the Big Hill) and second, stop at the Lake Louise Visitor Centre for a copy of “The Kicking Horse Chronicle,” a newspaper style pamphlet that outlines railway construction on the Big Hill.